The Motilal Nehru National Institute of Technology (MNNIT), Allahabad is ready to hire the capable candidates for 84 Associate Professor and Professor Vacancies. If you are one of the people waiting for Uttar Pradesh Government Jobs then apply for MNNIT Allahabad Recruitment 2017 Notification. Job Seekers who are interested in Associate Professor and Professor Vacancies Openings 2017 they have to refer the entire article. The MNNIT Allahabad Recruitment 2017 Education Qualification must complete their B.Tech or any equivalent degree/ M.C.A Or any equivalent undergraduate degree Or M.Tech. or any equivalent degree, in relevant discipline/ B.Sc./ B.A./ B.Com Or M. Sc./ M.A./ M.B.A/ M. Com. Nowadays most of the job fighters are showing their interest in Government Jobs. Because the government jobs are very secure jobs. All the required data regarding MNNIT Allahabad Recruitment 2017 Notification is available on this page. Willing aspirants can apply for MNNIT Allahabad Jobs 2017 before the closing dates. While coming to the important dates the interested and eligible candidates can fill the application form before 14th November 2017, 28th November 2017 (Hard Copies) and send to the below given address. While filling the application form aspirants must know important information such as Education Qualification, Age Limit, Selection Process, Application Fee, Pay Scale details. Without having the proper details candidates didn’t know whether they are suitable for MNNIT Allahabad Jobs 2017. The Motilal Nehru National Institute of Technology (MNNIT), Allahabad released a new notice for the unemployed candidates to recruit into their organization by conducting either written exam or personal interview. This is an excellent career opportunity for the candidates who are interested in teaching jobs. Job Seekers who want to become a faculty in the NIT must apply for MNNIT Allahabad Recruitment 2017 Notification. The applied contender’s age limit should not exceed 60 years. Aspirants have to submit their application forms through offline mode. If you are tried searching for MNNIT Allahabad Jobs 2017 then you reached a correct place to check the recruitment details. We gather all the MNNIT Allahabad Openings 2017 details and clearly explained on this page. For every post, we provided the stuff. Use the given MNNIT Allahabad Recruitment 2017 information and apply before the last date that is 14th November 2017. To help the job seekers our team collect entire information and sharing on this page. The official advertisement notification is available at the below section. So, refer the notice and submit the application forms without any late. utilize this updated data and visit our website regulary for more job updates. Are you searching for Uttar Pradesh Government Jobs then we have a great news for the job hunters the MNNIT Allahabad Recruitment 2017 Notification is out. So, interested aspirants can check the details and submit the application for through offline mode. The upper age relaxation is as per Motilal Nehru National Institute of Technology (MNNIT), Allahabad norms. The applied contenders must face written exam or personal interview. Aspirants can refer the official notification and check more details about Application Fee. Applying contenders must pay the prescribed application fee. The selected aspirants must receive Rs. 37,400 to Rs. 67,000/- Per Month along with the Grade Pay. If you are not satisfied with the provided details then refer the official notification which is attached at the end of the page. Utilize this excellent chance and apply for MNNIT Allahabad Recruitment 2017 Notification before 14th November 2017. Scroll down and collect Post Wise Vacancy Details, Application Fee, Selection Process, Age Limit and Age Relaxation details. 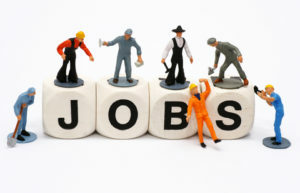 For more job updates aspirants can visit our website sarkarirecrutiment.com frequently. After completion of the filling, the application form send to the given following address. After completion of the application process, it is better to start the preparation. Only suitable candidates are eligible to apply for MNNIT Allahabad Recruitment 2017 Notification. Candidates must complete their B.Tech or any equivalent degree/ M.C.A Or any equivalent undergraduate degree Or M.Tech. or any equivalent degree, in relevant discipline/ B.Sc./ B.A./ B.Com Or M. Sc./ M.A./ M.B.A/ M. Com is the required education qualification. The candidate’s age limit should not exceed 60 years. Aspirants can refer the official notification and check more details about Age Relaxation. The Upper Age Relaxation is as Motilal Nehru National Institute of Technology (MNNIT), Allahabad norms. Job Seekers who are applied for Associate Professor and Professor Vacancies they must face either the written test or personal interview. Candidates who clear all the recruitment rounds they will be selected for this openings. The Motilal Nehru National Institute of Technology (MNNIT), Allahabad officials has offered Rs. 37,400 to Rs. 67,000/- Per Month along with the Grade Pay for the selected candidates. Firstly applicants must visit the Official web portal of Motilal Nehru National Institute of Technology (MNNIT), Allahabad at www.mnnit.ac.in. Find for MNNIT Allahabad Recruitment 2017 Notification. Check the details if you are suitable then download the application form. Finally, send the application form and hard copies to the given address before the last date. Registrar, Motilal Nehru National Institute of Technology Allahabad, Allahabad-211 004, Uttar Pradesh, India. Initial Date to Fill the Application Form: Started.